I used Binyamin's services to move 2 well-loved beds. Great service.. courteous, respectful and prompt. We had the opportunity to use the services of On the Move for a large and complicated move. The guys were very organized, pleasant, professional, and accomodating. They made the move as smooth as possible.They were very careful with our belongings and worked quickly and efficiently. I woould recommend them whole-heartedly to anyone needing a big or small move. Binyamin was professional, polite, and a pleasure to deal with. He is quick, super helpful, so efficient and extremely accommodating. Hiring him will be the best way to make your move successful. Great job, very courteous, extremely pleasant. I would use them again. Very Courteous personable hard working workers who treated my furniture with the utmost of care. They have a real Can-do attitude. I said, "I don't think you will get that through the front door" They said, "you'll see" They were right. of course. The workers never seemed to run out of smiles or patience.I asked them to move (again) a heavy piece of furniture which I decided to go elsewhere, and they did it happily. And a whole truckload of furniture with not a scratch to either the furniture or the apartment. Also,very reasonable priced. Benyamin, an English speaker, was either on site, or answered my calls immediately the whole day. I cannot recommend them enough. Benjamin purchased a bunch of Ikea furniture for me. It was so easy. I just sent him the item numbers that I wanted and he went to Ikea purchased the items and delivered them to my house. It was so refreshing to pay for a professional and receive great customer service as well. Besides for his excellent business model, amazing service and Paypal payment option. Benjamin is detail oriented. He noticed that I forgot to add the wooden slats for the bed I was buying and made sure to let me know and add it to the list. Benjamin and his staff are honest, nice and hard-working. It was a pleasure moving with them, and I'd move with them again. I recently moved houses in Nachlaot which is a big challenge for movers because of tiny lanes and no parking. Benjamin and team stepped up to the task with positive attitudes, strong backs, sense of humor and a plan to get the work done. They carefully wrapped fragile furniture and delivered everything in one piece. I've never had such honest and great service in Israel in the 20 years that I've lived here. I highly recommend On The Move!!! Moving is stressful, but working with professional, honest and fun guys made the move go quickly and smoothly. Thanks Benjamin!!! Recently we moved from Maalot in the North to Efrat. I could not be more pleased with the hard work and service that On The Move provided. Everything from the care of our things, hard work, and communication was top notch. Thanks to Benjamin and Team for a great experience. from the first phone call all the way to completion of the job it was a pleasure. An absolute pleasure to work with - great energy and all smiles and courteous. Our move was so smooth and totally stress free. Benyamin and his team are honest, reliable, efficient, and professional. They came at short notice, gave a precise and very competitive quote, and all in all did a fantastic job. They skillfully disassembled, securely packed, moved and reassembled whatever necessary. Highly recommend! Moving is a very difficult process, but Benyamin and his crew really worked to ease the pain. They worked efficiently and professionally as a team -- with our family -- to make the move go as easily as possible. Thanks, guys! i had such an amazing experience with these guys today! proper notification of when they would be arriving, and then they worked with me to take apart and put the bed legs back together to fit it through the narrow hallway, there had been a misunderstanding about it, but when they realized that it had been discussed there wasn't even an extra charge to the already very reasonable price! totally recommend!! The movers - Ayal and Grisha were patient, efficient with a positive can do attitude. The owner - honest and a pleasure to work with. We moved apartment from Nahariyah to Jerusalem. Benyamin did it for a fantastic price better than anyone else I asked. There is no mistake that ON THE MOVE have by far the most reviews for any moving company on this site, and all positive! They are great. Everyone was friendly, very professional, very careful taking pride that nothing got damaged. If we move again I will only use Benyamin and team. Just moved things from storage. Binyamin is 100% HONEST, and a pleasure to work with. Everyone was pleasant, and it was an excellent move by a superb team. You simply cannot do better. I absolutely recommend them!!!!!!!! Binyamin is a mensch. I had to move something out of the Jewish Qtr, and he adjusted his schedule to ensure the move could go smoothly. His workers had do some unplanned disassembling, were fast, friendly, and did a great job, without any complaints. Binyamin and crew are real menschen and provided us with a professional moving service of the highest quality not so commonly found in Israel. We are thankful for their great service. This was the 2nd time we used Benjamin and the crew. We had 5 flights of stairs to move from and we were nervous but they did an amazing job once again. The guys were all friendly and reassuring and although it was a tough move they didn't complain and kept their friendly composure from start to finish. Kol ha hakavod. Highly recommend them and I wouldn't use anyone else. Thanks again guys!! Benyamin did a small move for us this week. He arrived on time with all the proper equipment and a small truck and a great helper. The job was done quickly, carefully, and without any damage to any furniture. He is a complete professional and was a pleasure to work with. We will continue to use him and recommend him to all our friends and neighbors. A great mover... and a mentsch! Benyomin moved a few beds for me today. He was professional, pleasant, and honest. He did the move carefully and thoughtfully. It was a pleasure to work with him! He even took the time to teach me, patiently, how to use my high-riser bed. I will be using him in the future for all my moving needs, and I have already recommended him to my entire family. There is no need to look further for a mover - call Benyomin NOW. I just had an oven moved in probably less than 20 minutes!!! The longest part of the whole move was the drive from point A to point B. They were friendly, efficient, on time/early, and I was thoroughly impressed from start to finish. They were also the lowest quote we got. Benjamin and his team worked professionally and so hard for our move. I recommend them all the time. Definitely the best! Benyamin's Moving Service did a fantastic moving job when we moved apartments. Not only did he transport our furniture with care but he also wrapped every last piece of furniture very well to avoid any damage. We could not have been happier with his moving service and will definitely be using him again in the future! Highly recommend him to everyone!!! Will refer you to others! Just wanted to let you know Baruch HaShem how smooth the move went. The 2 men you sent were so polite, courteous, and nice. They helped reduce the stress in moving. Much appreciated. Consider me a source for future referrals for you. I absolutely recommend Benyamin's Moving Service for all your moving needs. No one likes to move, but the service and respect I received from Benyamin and crew would make me almost consider moving again, just so I could work with them one more time. The employees are friendly and dedicated, and I often witnessed them running back and forth from my apartment to the van. It's rare to see that sort of efficiency in a company anymore. So, if you're in need of a moving company, I highly recommend Benyamin's Moving Service, the best people in Jerusalem for the job. If you pick up the phone and call Benyamin's Moving Service, I guarantee you won't be disappointed. We hired Benyamin to move a lot of desks, computers, chairs, cabinets, etc.. He was super careful with our computers and screens. He was ON TIME, and got us moved ON TIME. And he was a pleasure to work with. Would we use him again? Absolutely. I would just call him and consider the job done. Benyamin's Moving Service moved beds for us from Jerusalem to our home in Zur Hadassah and he did a great job. His price was low in comparison to others and he was quick but very careful. I recommend using him in your next move. I will definitely call him next time I need a mover. Binyamin and team moved some items for me into Jerusalem's Old City- NOT and easy move. It was amazing how they handled this very stressful situation. The furniture was handled "respectfully", price was fair and Binyamin is simply a very pleasant person to deal with. I have already recommended him to family and friends and they have been very pleased with their experiences as well. I used Benyamin and his team on Oct 15th 2013. They were professional, efficient, easy to work with, and very competitive on pricing. They worked hard to make sure complicated items were wrapped properly so as not to break during the move. I am happy to recommend Benyamin for in need of a moving company that is no hassle and fair. To top it all off, Benyamin is the man, and it was great to get to know him. I was in dire need of a mover last minute and every mover i called was charging me alot of money because of it. i was desperate to get my things moved but really did not have the means to pay what the amount they were asking. B"h i was fortunate enough to get the number of Binyamin !!!! He was so kind, respectful and caring on the phone and thank G-d was able to help us.He was on time and did a wonderful and efficient job!USE HIM HE'S THE BOMB!!!!! We will certainly use Benyamin again, and would gladly recommend his services. Seriously mean it when I say stop researching. Benyamin is the most trustworthy one you are going to get. AND the most affordable. No need to call around. Just call Benyamin. After you work with his company once, you will want to work with them and nobody else for all your moves. I have recommended Benyamin to others and they say the same thing...Call Benyamin. 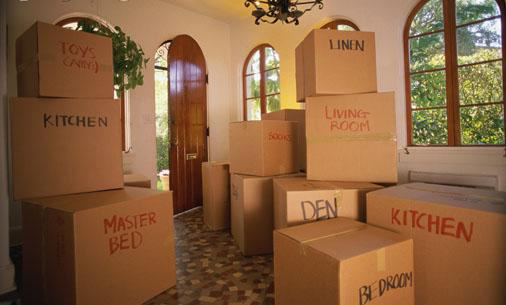 Binyomin made our moving experience as pleasurable and easy as possible. He was prompt, fast, pleasant, socialable, super-honest, and fair with the price he quoted. He dropped off boxes before the move, guaranteed his work, and showed concern for our belongings in the handling of furniture. Great choice of movers. If I have any moving needs in the future, I will absolutely be using Binyomin again. 100% recommended to everyone. Moving was actually a Good Experience! Benjamin was professional, careful, timely, swift, trustworthy and polite....and yes, actually very affordable. Great job! Binyamin provides a service that is highly efficient, reliable and of the highest quality!! I would recommend him to anyone I know. Binyamin helped me move a dining room table. He was honest, courteous, and overall a real pleasure. I recommend him highly and would definitely use him again. I called from overseas to organise the delivery and Benjamin was extremely professional and friendly at the same time. He did the job with such excellence and even went above and beyond. Would 110% recommend him and use him again and again. Benyamin was prompt, friendly, professional efficient, and the charge was very reasonable. He is honest and great company. I would definitely hire him again and highly recommend him. Binyamin's service is unparalleled. He was very courteous, and went above and beyond the call of duty. Not only did he move a washing machine for me, he set it up, and came back and did a chessed to help me with a small plumbing issue. His service is great, and reliable. I would recommend him to anyone, and wont hesitate to call again if needed. Benjamin was great, he moved a closet for me and was super efficient and timely at a great price, I would highly recommend him!